to bring in the boats for the year, so we made our way down the road, to his dock, while the high tide was still helpful. Although logic would allow me to understand what the high tide meant, I did not have much boating experience and wasn't really sure what that would look like later in the day. We slapped on some muck boots and jumped right in. First we put everything from the boats into the van including the motor, jug of gas, buckets of supplies, life jackets and a water pump. Once loaded, we took the boats back to Larch's property where they would stay for the winter. In order to protect the boats from the winter precipitation, we flipped them upside down onto some stacked rubber tires. Larch built these boats many years ago and used multiple layers of wood, plastic and other materials for the bottom to help prevent it from wearing down. The space created by the rubber tires allows air to flow under the boat preventing any mold from attacking the inside. After some great conversation and a cup of hot tea, it was back to the greenhouse for the final frames. Once again, we couldn't finish the greenhouse before sunset, but we did want to take this opportunity to try and capture the beautiful glowing sky. We rushed down to the dock, but when we got there I immediately thought we were lost as the water had receded so far out into the ocean. I soon realized what high tide really meant as I looked out in front of me. Just for some perspective, here is another glimpse of the same exact spot during the high tide earlier in the day. It's always good to remember just how powerful and relentless mother nature is. After another delicious meal shared with some additional guests who had just gotten in from California, some more in-depth conversation and a quick 5 hour "nap," we woke up to put on the final door frame before we head back to New York. Mission Accomplished. 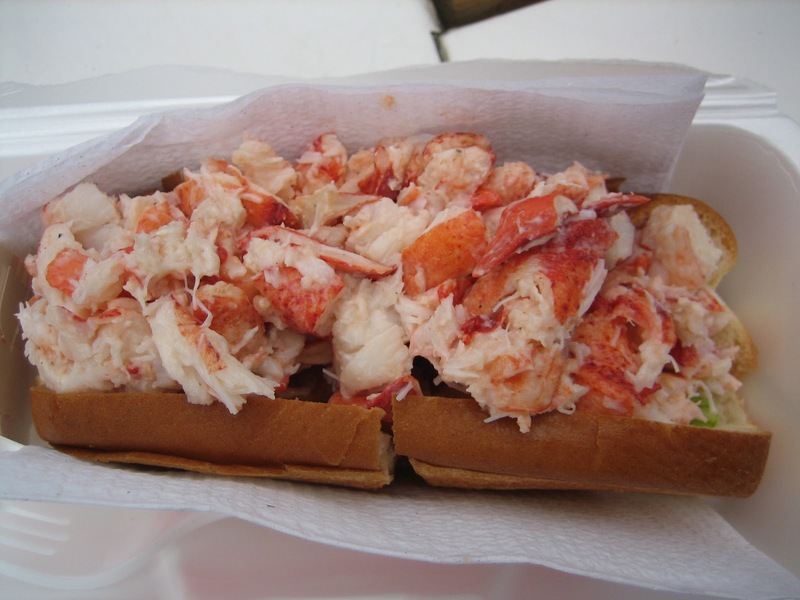 Well almost...what road trip to Maine could be complete without a delicious, fresh, local lobster roll? Couple that with a quick stop to an apple orchard and we were finally ready to bid farewell to Maine. It was not easy leaving Larch's home. He not only opened his doors, but opened his heart to us and all of his guests. I feel lucky to have experienced such an incredible weekend, living and working side by side with a man who has taken charge of his life and followed his gut the whole way. His willingness to always think before he acts and chase his passions is admirable and I suggest anyone who would like to learn about seaweed, structural body work (another passion Larch pursues) or just wants to volunteer, make your way up to Steuben, Maine and spend some time with The Seaweed Man. As the winter sets in and soup sounds better and better, try replacing your chicken stock soups with some seaweed stock straight from the source: Maine Seaweed. If you start adding seaweed to your diet you'll probably notice a difference in how you feel and when you do, please let us know.